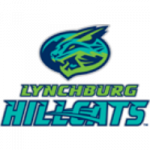 Lynchburg pitchers struck out 13, and the Hillcats used two big innings on offense to defeat Frederick, 7-1, and win a share of the Carolina League Championship. Triston McKenzie struck out 10 in seven innings before turning the ball over to Dominic DeMasi to complete a 4-0 Hillcats victory Friday night. Frederick scored nine runs in the final three innings Thursday to come from behind and shock Lynchburg at Nymeo Field, 10-9. Jodd Carter went 2-3 with two RBIs to help Lynchburg complete a four-game sweep at Frawley Stadium Monday, 4-3. The Hillcats led throughout the nightcap to complete a twin bill sweep at Frawley Stadium, 5-0. Mitch Longo went a perfect 4-4 and scored five runs in his second game as a Hillcat to help Lynchburg defeat Wilmington. Lynchburg completed a three-game sweep of the Nationals at City Stadium Thursday, 5-1. Aaron Civale went seven innings for his seventh straight start as the Hillcats (82-52) defeated Potomac (62-73). Gavin Collins belted a two-run homer in the eighth inning to lead Lynchburg to a 9-3 victory over Potomac. Lynchburg had a runner on third in each of the first four innings, but only came away with one run in a 5-1 loss. Down East plated four unearned runs to break the tie and claim a 6-2 victory at Grainger Stadium Saturday night. Triston McKenzie struck out 11 batters and only allowed one run on one hit in six innings to help Lynchburg defeat Down East, 3-2. Claudio Bautista and Sam Haggerty each hit home runs to help Lynchburg win the series finale at Buies Creek, 5-1. The Potomac Nationals (59-67, 26-30) failed to pull even with the Red Sox in the Northern Division playoff race. Lynchburg scored four runs on five hits in the first six batters of the game to storm out to a 4-0 lead and eventually win 6-3. Sicnarf Loopstok hit his team-leading 17th home run as the Hillcats recorded an 8-7 victory to sweep the Salem Red Sox. Lynchburg trailed by three runs on two different occasions, but the Hillcats came back to force extra innings and eventually prevail in the 12th, 7-6. Willi Castro and Claudio Bautista each hit solo home runs for the Hillcats in a 2-1 victory over Salem Friday night. Lynchburg scored seven runs on just three hits in the first inning and led comfortably the rest of the way in a 10-6 victory against Buies Creek. Buies Creek used a four-run 11th inning to claim a 7-3 win over the Hillcats Wednesday night at City Stadium. Lynchburg trailed 2-1 entering the bottom of the ninth inning, and three batters later the game was over. Lynchburg continued its offensive barrage at BB&T Ballpark with a 9-6 victory in the team’s final game at Winston-Salem Sunday. Lynchburg City Stadium will open its gates Saturday, October 7, from 11 a.m. to 4 p.m. for a new event known as the Quarter-Mile Beer Run. The Potomac Nationals (53-64, 20-27) fell for the second straight night and for the 24th time in a one-run game this season. Lynchburg recorded a season-high 18 hits but managed to suffer a 12-7 defeat at Winston-Salem. Lynchburg posted season highs with 14 runs and 17 hits in the series opener at BB&T Ballpark to defeat the Winston-Salem Dash, 14-1. Lynchburg completed a three-game sweep of the Carolina Mudcats with a 5-0 victory Thursday night at Five County Stadium. Sicnarf Loopstok hit a home run in each game to help the Hillcats sweep a doubleheader at Carolina Wednesday night, 7-1 and 3-2. The Potomac Nationals (17-25, 50-61) salvaged the series finale with a 4-3 win in 10 innings over the Winston-Salem Dash. The Hillcats finished the game 0-8 with runners in scoring position in a 3-2 defeat against the Down East Wood Ducks Saturday night. Dominic DeMasi went a career-high seven innings and struck out a career-best eight batters to earn the win in a 5-2 Hillcats victory. The Potomac Nationals (16-22, 49-59) escaped the rubber match against the Lynchburg Hillcats (23-17, 63-46) with a 6-5 win. 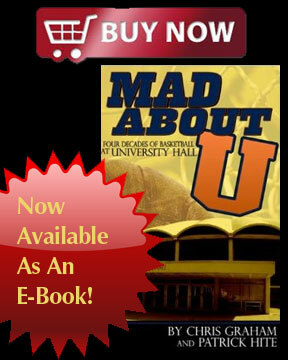 Dwight Gooden will be on hand for a free meet-and-greet autograph signing at Pfitzner Stadium on Saturday, August 19. Sicnarf Loopstok went 4-4 with four extra-base hits and a career-high six RBIs to pace the Hillcats offense in a 9-2 victory. A four-run sixth inning sent Potomac on its way to a 5-2 win over the Hillcats at Pfitzner Stadium Monday night. Three Hillcats relievers combined for a seven-inning shutout in a doubleheader nightcap to give Lynchburg a 3-0 shutout after dropping the initial contest, 4-2. Shao-Ching Chiang needed just 106 pitches to throw the first complete-game no-hitter for a Lynchburg team since Tim Van Egmond did it for the Lynchburg Red Sox. Thanks to a two-run seventh inning, the Potomac Nationals (45-57, 12-20) tallied a series-opening victory over the Myrtle Beach Pelicans. After taking the first two games, the Potomac Nationals dropped the final game of a three-game series with the Down East Wood Ducks, 6-2. Frederick claimed the lead for a fourth time in the ninth inning and held on for a 4-3 victory over the Hillcats at City Stadium. The Potomac Nationals (44-56) beat the Down East Wood Ducks (38-63) for the second straight night by a final score of 7-3. 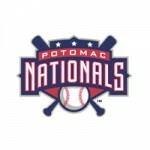 The Potomac Nationals (43-56) won a wild game over the Down East Wood Ducks (38-62) 11-9 in 11 innings on Monday.